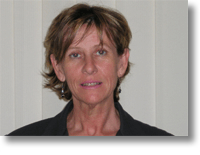 Deborah is in private practice working mostly counselling, in psychotherapy and clinically oriented psychology. She holds a degree in Nursing but no longer practices in this profession with a particular interest in cardiac health. Private practice research interests include relationship functioning -both intimate and organisational, gender, sexuality and alternative relationships, and body image/eating disorders. Outside family and friends, she has a variety of interests, many revolving around sports, travelling and cultures, and her ongoing studies. These studies have evolved out of a long-standing interest in body image and eating disorders, and in particular obesity related aspects. This has involved a career shift from practice as a cardiac nurse, to a second degree and practice in psychology. Though she still does some practice as a registered nurse, her primary focus is now within the realms of psychology. In this field she had continuing interest in the functioning of body image/eating disorders, and their specific effects on obesity, and grieving processes after loss. Her research focus has been on the relational aspects of body image and eating disorders. These formal studies were at the School of Psychology, Bond University, Gold Coast. Though she has since completed these studies formally, she plans to continue in a private research capacity for several years returning to the academic setting when she can again give the spare time required. Following is a summary of her academic and work history. The details of her workplace roles and academic records would be too numerous to mention here, though she is happy to provide and discuss same at your convenience. Broadly speaking, she has been professionally responsible for clinical treatments and outcomes. More recently she has been responsible for the design and implementation of research study, and remain largely self-motivated, though open to the ideas of others, and to alternative relational styles. She encourages a supportive and cooperative teamwork approach to workplace functioning, as is reflected by her interests. 1980: Completed Nursing training at Princess Alexandra Hospital, Brisbane. 1980 – 1982: General Nursing Practice, Mater Private Hospital, Bundaberg. 2003 – Present: Private practice in psychology at Osler House Specialist Medical Centre. 2015: completed APS Institute Practice Certificate in Sleep Psychology.